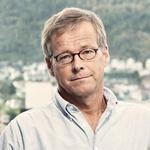 Bergen: Chr. Michelsen Institute (CMI Brief no. 2018:05) 4 p.
This brief compares living conditions in villages in rural Malanje and shantytowns in urban Luanda and argues that while material poverty is most pronounced in Malanje, disempowerment, vulnerability and the dearth of social safety-nets makes life equally precarious for poor people in Luanda. This is the third brief from the research project “Cooperation on Research and Development in Angola” between UCAN/CEIC and CMI, and its sub-project “Urban and Rural Poverty Dynamics”. It is based on qualitative/participatory fieldwork carried out in the province of Malanje and the city of Luanda with the objective of understanding people’s own perceptions, experiences and dynamics of poverty and well-being. 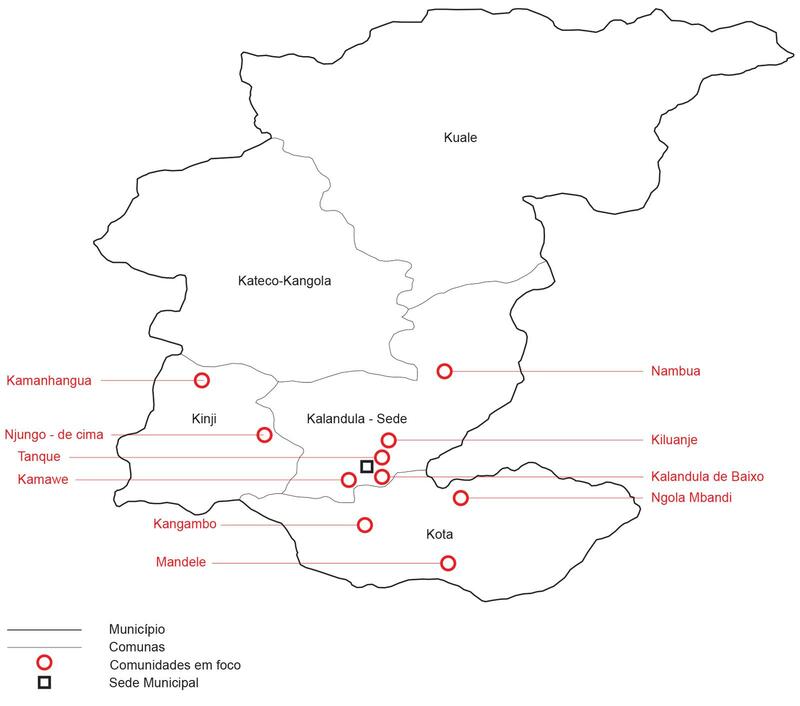 Villages in the Municipality of Kalandula in the province of Malanje and the informal settlements/musseques in the capital Luanda give very different impressions. The former are sparsely populated and homogenous, people live in mud- and grass roof dwellings, employment is hardly accessible, markets are near-empty, agriculture is the dominant economic activity and income and schools and hospitals are largely unreachable. The latter are dense, tense and heterogeneous, with people living in brick houses or shacks, shops and markets are omnipresent, schools and health facilities exist but are costly, there are formal as well as informal employment opportunities but with difficult and insecure working conditions – and the bairros are surrounded by the affluent cidade as a constant reminder of gross inequalities. This brief asks: What are the main challenges for the poor in these types of settings? Angola is ranked number 147 out of 189 countries in the Human Development Index despite its enormous oil wealth and high per capita GDP, implying exceptionally poor scores in terms of education and health indicators particularly for rural areas (UNDP 2018). The official consumption-based poverty rate in the country is 38 percent, with 18.7 percent for urban and 58.3 percent for rural areas (INE 2013). The poverty rate for Luanda is set at 11.5 percent, albeit with a very high level of inequality. Perhaps the most telling piece of data is the child mortality rate, which is 230/1000 in rural and 170/1000 for urban areas – meaning that nearly one in four children in rural Angola die before they are five years (UNICEF 2015). Looking at data from the rural (Kalandula) and urban (Luanda) social formations being the points of reference for this brief (Tvedten et al. 2017, 2018), the quantitative expressions of poverty and well-being at least partly build up under the notion of the rural poor being in a more dire situation than those in an urban setting (see Table). People in Kalandula are least likely to be employed and most likely to work in subsistence agriculture; they generally earn and spend less than in Luanda; they have fewer assets in general and ‘luxury’ assets in particular; and they are less likely to go to school and more likely to be sick/die early than in Luanda. However, poverty is not solely a question of income, expenditures and access to social services. It is a multi-dimensional concept involving: i) lack of employment and income needed to attain food and other basic necessities; ii) a sense of voicelessness and powerlessness in relation to institutions of society and the state; and iii) vulnerability to adverse shocks, linked with the ability to cope with them through social relationships and legal institutions. In addition, poverty in Malanje and Luanda, like in most other parts of the world, is a question of the extent to which the structural/material conditions under which people live are perceived to provide options for upward social mobility or effectively trap people in sustained poverty. The 460 villages registered in Kalandula are typically relatively homogenous and vary between 600 to 50 inhabitants, with the exception of the vila of Kalandula with 16.400 (AMK 2014). Agriculture is the backbone of the economy for the large majority of the population. Rainfed land is ample while wetland or hortas are more scarce, but what determines productivity is access to family labour. Production is very low, and while 62 percent of the household sell part of their production/bombó this is usually by selling for very low prices to traders from Luanda or Malanje City. Nine percent of Kalandula’s household units do not have access to land. These are generally small and often restrained to one person, often elderly, disabled or otherwise marginalised individuals. This indicates that lack of access to arable land is not caused by scarcity of the resource, but rather the inability to make use of it. In this context, the very poorest are those who do not have sufficient labour to produce crops, and who have to beg or work in the fields of others – both being violations of the very essence of ‘communityship’. In the musseques of Luanda, employment is in the outset more easily available. 44 percent of the households in the four musseques under study are formally employed in the public or private sector, while practically all the households are involved in informal economic activities – as shop- or cantina owners, market- or street venders, craftsmen, street haulers or in more illicit activities like prostitution and theft – either as a primary or subsidiary source of income. While there is access to employment, it usually comes with poor and/or fluctuating incomes, inconvenient working hours and insecurity of contract, often outside the musseque in distant areas with more purchasing power. This is particularly serious in a context like Luanda, where almost everything has to be bought and only two percent of the households are involved in agriculture. In terms of employment, then, people in Kalandula earn much less/have fewer assets than people in Luanda – but they have a more predictable situation which is largely shared with other people in the village. In addition, people in Kalandula usually have access to food and water as basic means of survival even though the diet often lacks sufficient nutriants. Money is in circulation in Luanda, as evidenced by the relatively large proportion of households possessing assets, but most families in the musseques experience periods with dire shortage of basic consumer items. Also, living in a divided city like Luanda and being confronted with people living in wealthy areas is a continuous reminder of own marginalisation and deficiencies. De facto, Angola is a one-party state, dominated and controlled by MPLA from central and provincial government to the district and comuna/município with administrations appointed by the state/MPLA. None of these are actually there to give voice to the population, but rather to control them and to provide basic services. The villages in Kalandula have a long-shared history and are ethnically homogenous. The extended family represents the basic socio-cultural point of reference/set of social relations. War and migration of extended family members have sometimes weakened social cohesion, but also expanded the social network it represents to other areas. The traditional authority institutions (the soba), with traditional roots but recreated as an instrument of governance by the Portuguese, have gradually been co-opted by the MPLA party state. They remain important as a local voice, but their double face often make their position difficult to define and allegations of corruption and mismanagement flourish. Churches stand out as probably the most important/coherent institution in the communities not least for women – but with limited ambitions/power to voice people’s concerns. The ‘Council of Community Consultation and Cooperation’ (CACS) – with representatives from the State, civil society and ‘individuals of particular standing’ – is the rural institution with the most explicit mandate to represent the population and their concerns but also this is effectively controlled by the State. In the poor bairros of Luanda, channels for ‘voice and power’ are more volatile and difficult to define. Even if some central bairros can trace history back to early last century, the communities usually have a short history, a mixed population from different geographical areas/ethnolinguistic groups and are less coherent than rural villages. Due to permanent or oscillatory migration, and limited space in the urban bairros, extended family members often find themselves dispersed in different urban and rural areas or in different parts of Luanda. There are hardly any community-based voluntary organisations. Churches are highly and vocally present, but most of them take the form of ‘small-scale businesses’ apparently more interested in tithe and collections than in social development for their members. 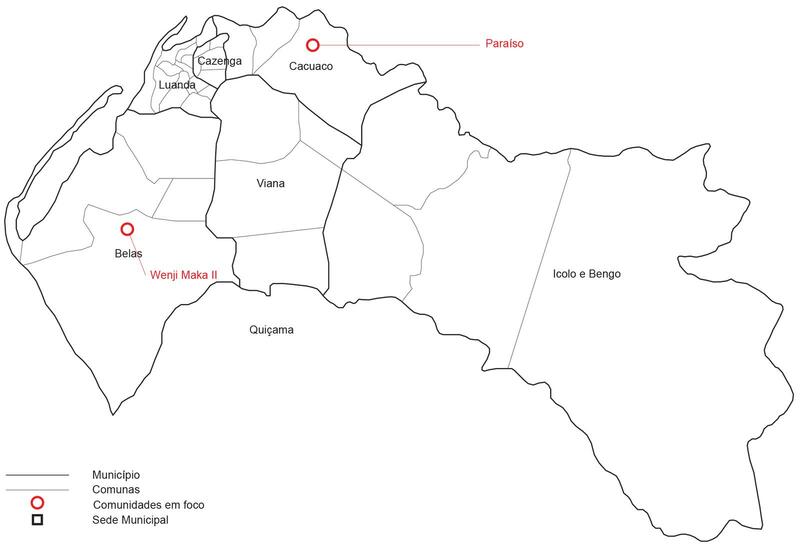 The Residents’ Committee (Comissão de Moradores) are in principle established to give the population voice and power, but they are co-opted by the state/government (Paraíso) or the committees have limited resources and impact (Wenji Maka II). This means that people in both rural Kalandula and urban Luanda are largely voiceless and powerless in relation to institutions of society and the state, and that ‘voice and power’ – and hence the ability to affect one’s own condition of poverty – has come to depend on the individual households and the social relations they manage to establish and maintain. For the poor in rural areas this largely implies relations with the extended family and with other poor people in the community. For the poor in urban Luanda, these outlets are largely absent leaving people with individual relations with others in positions of power/influence outside the bairro that are often ‘commoditised’ and out of reach for the most destitute. Poor households in rural as well as urban Angola usually find ways to get by on a day to day basis by reducing consumption and/or splitting/reorganising the social unit, but are vulnerable to sudden shocks e.g. in the form of reduced access to food and income, increases in expenses for health and education and the death or absence of main breadwinners. In rural Kalandula, the most common shock to household well-being usually comes in the form of failed harvests/crops which tends to be an ‘anticipated crisis’ following lack of seeds, absence of rain etc. giving people some time to adjust. Expenditures are in the outset low, and reduced incomes are related to by buying less foodstuffs/commodities, holding children back from school etc. The one expense that cannot be forfeited is for medical expenses related to illness, and the high child mortality rate in Kalandula/rural Angola is perhaps the most important expression of the vulnerability of the rural poor. At the same time, most poor households have access to land and see options to recover with improved rains – with the exception of the most destitute. Relatively high social cohesion and transparency in the communities entails that security against crime is generally good. In the musseques of Luanda, the poor are more vulnerable due to the fact that practically everything has to be bought for money. Only two percent in our sample have access to agricultural land and do agriculture. A sudden dearth of income and/or a rise in expenses has immediate effects for access to food, the ability to travel/seek employment, go to school, buy medicine, get necessary IDs/approvals etc. As money is such a scarce and necessary commodity, moreover, poor urban dwellers cannot generally afford to lend and have outstanding claims when people they know are in distress. The high levels of mobility, the heterogeneous background of the populations and low social cohesion, combined with the poor function of state institutions, often lead to a deplorable security situation where the risks of getting robbed or physically attacked is also quite high. Sudden shocks therefore have a tendency to make the urban poor even more vulnerable, often leading to destitution or chronic poverty from which it is nearly impossible to escape. One of the main controversies in the anthropology of poverty is the extent to which people who live under extreme structural oppression/poverty over time come to embody their poverty by giving up making more of their lives and behave in ad-hoc ways that may be detrimental for future social mobility (Small et al. 2010). The preceding analysis has indicated that such a condition may be more relevant in urban Luanda than in rural Kalandula. In Luanda poverty is more ‘imposing’, in that the implications of not having an income are more dramatic, and poor people are constantly reminded about their own poverty/inadequacy. In Kalandula, material poverty is widespread and shared and the access to agricultural land and/or work represents a potential road out of a desperate situation except for few who have lost their ability to work. The focus in this brief has been on how poverty dynamics differ between rural Kalandula and urban Luanda as social formations. Rural poverty has been seen as most severe in material terms, but with a stronger sense of community and safety nets in the form of access to land/agriculture. Urban poverty on its part has been seen as less materially severe and with better access to non-agricultural employment and social infrastructure, but it is also characterised by a heavy dependence on money, weaker community/social networks and higher vulnerability to sudden shocks. This way, the urban poor/destitute experience reduced room for human agency and social relations, which effectively makes the poorest marginalized and destitute. People in the rural villages of Malanje, on their part, share experiences of abject poverty and cope with their situation mainly through acts of compliance with the existing social order. AMK. 2014. Perfil Municipal de Kalandula. Kalandula: Administração Municipal de Kalandula. INE (2013). Inquérito Integrado Sobre o Bem-Estar da População, IBEP. Relatório - Vol. III. Perfil da Pobreza. Luanda: Instituto Nacional de Estatística. RdA (2015). Relatório sobre os objectivos de desenvolvimento do milénio 2015. Luanda: República de Angola. Tvedten, Inge, Gilson Lázaro, Eyolf Jul-Larsen, Mateus Agostinho, et al. (2018). 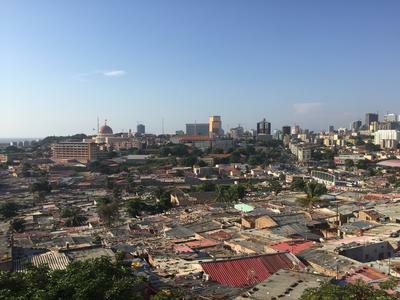 “Urban Poverty in Luanda, Angola”. CMI Report Number 6, April 2018. Bergen, Norway: Chr. Michelsen Institute. Tvedten, Inge, Gilson Lázaro, Eyolf Jul-Larsen, et al. (2017). “Rural Poverty in Malanje, Angola”. CMI Report Number 1, May 2017. Bergen, Norway: Chr. Michelsen Institute. Tvedten, Inge, Gilson Lázaro, Eyolf Jul-Larsen, et al. (2017). “Urban Poverty in Luanda, Angola”. CMI Report Number 1, May 2017. 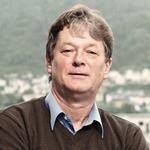 Bergen, Norway: Chr. Michelsen Institute. UNDP (2018). ‘Human Development Indices and Indicators: 2018 Statistical Update’. New York: United nations Development Programme. UNICEF (2015). Situation Analysis. Children and Women in Angola. Luanda: UNICEF. The National Poverty Line is set at 4,793 kwanzas per month, which translates into about USD 2.00 per household member per day. The data are from two surveys done in 8 villages in Kalandula and 4 bairros in Luanda, involving 360 and 420 households respectively (see Tvedten et al. 2017 and 2018 for more details).